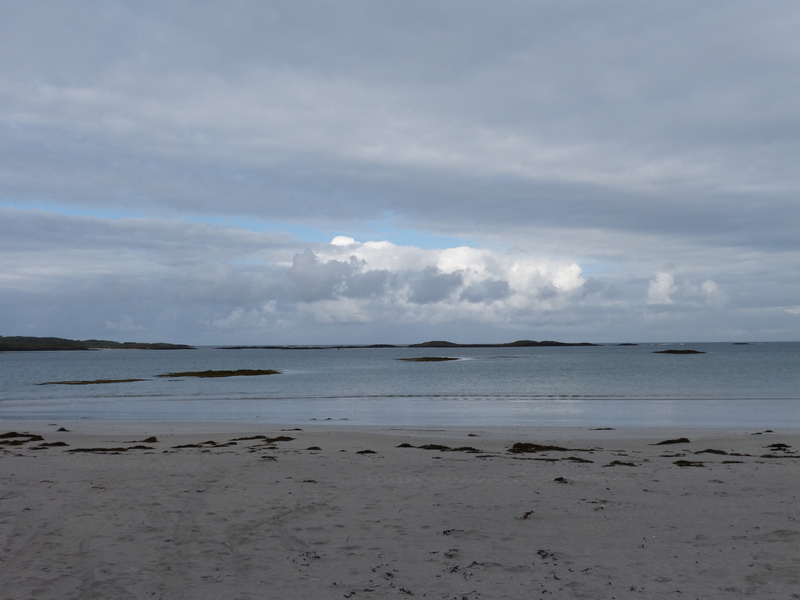 One of the most striking features of Tiree is its beaches. They are white, and the water is blue (if the sun shines). I’ve known a few gorgeous beaches. The Back Shore at Findhorn (Scotland). Westhampton Beach and the beach at Three Mile Harbor on Long Island. The one on Karpathos to the north of the town. Prachuapkhirikhan in Thailand. Tiree’s beaches beat all of them for beauty. 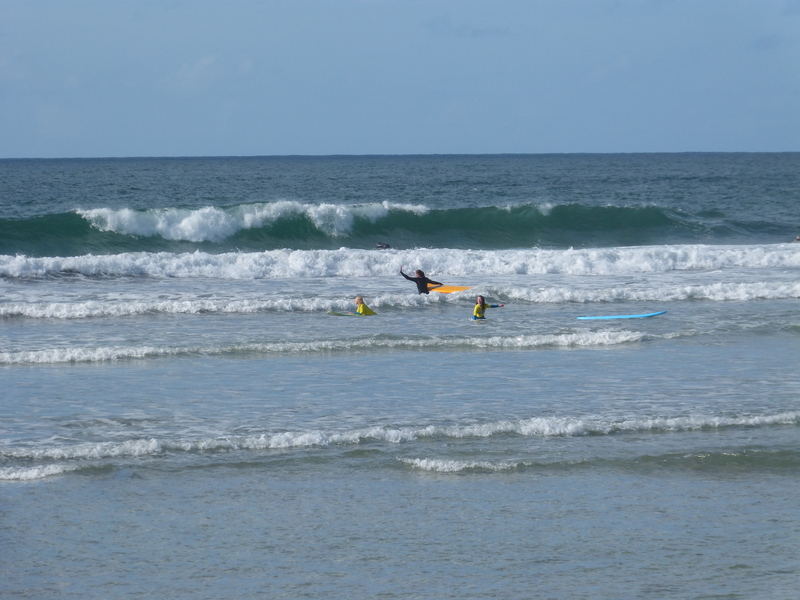 An Tràigh Bhàn at Bail’ A’ Mhuilinn is a surfers’ beach, and so it can be busy – by island standards. 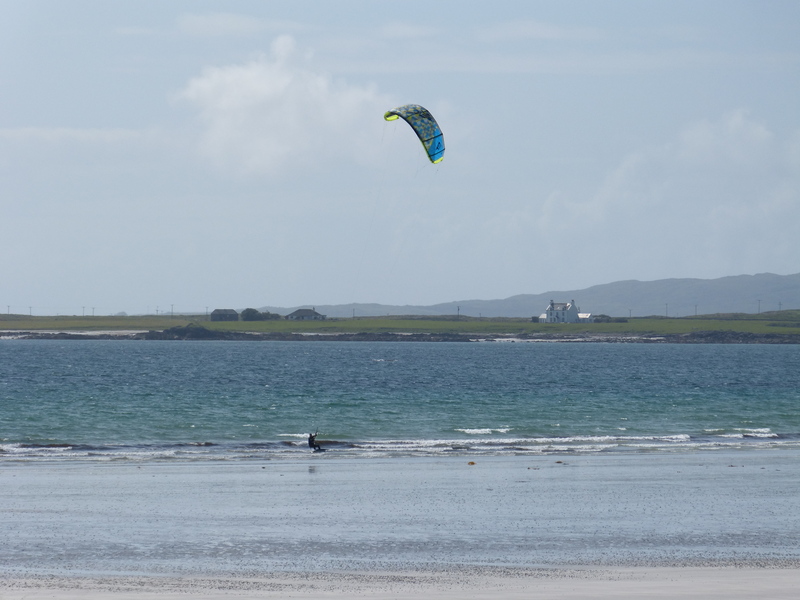 Tràigh Bhàigh at Crossapol has a kite surfing school on it – but it makes no impact on the empty serenity of Tiree’s longest beach. The beaches are so white it hurts your eyes if the sun is shining on them at low tide. 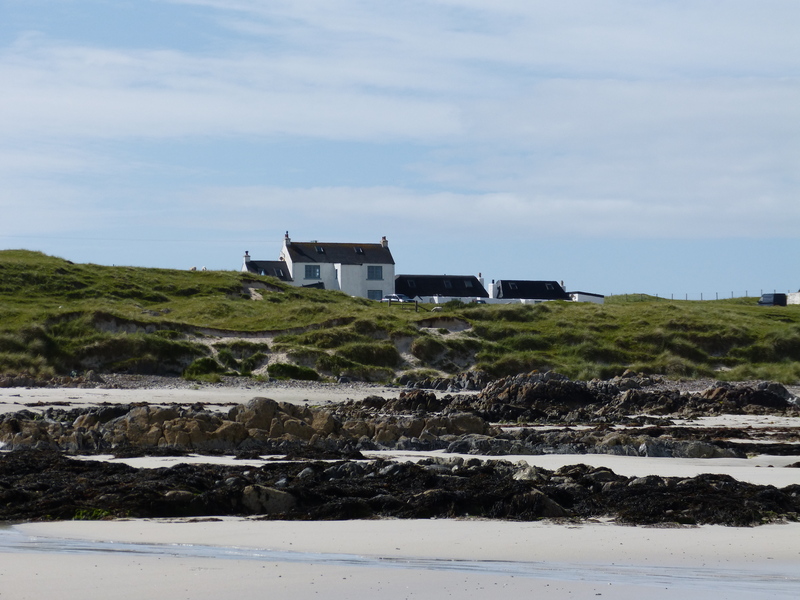 This entry was posted in island life, special places and tagged Island Life, Tiree. Bookmark the permalink.